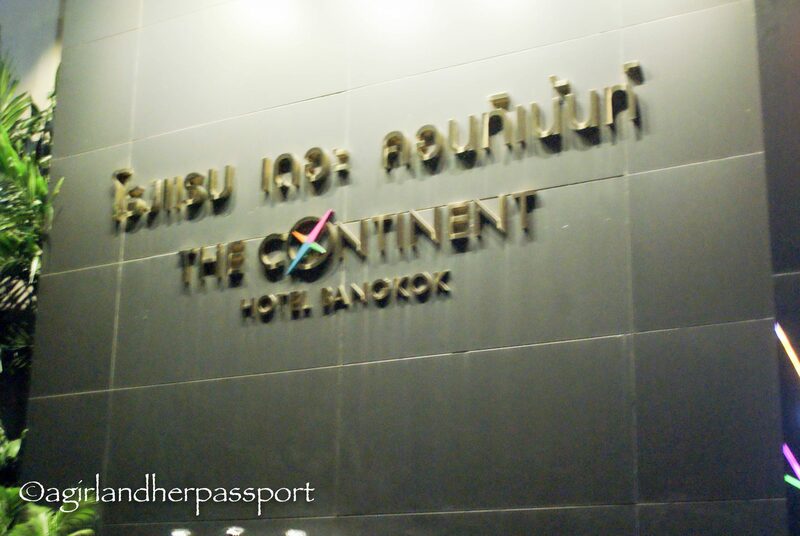 Many of you know that I was in Bangkok for TBEX Asia, which is a travel bloggers conference. 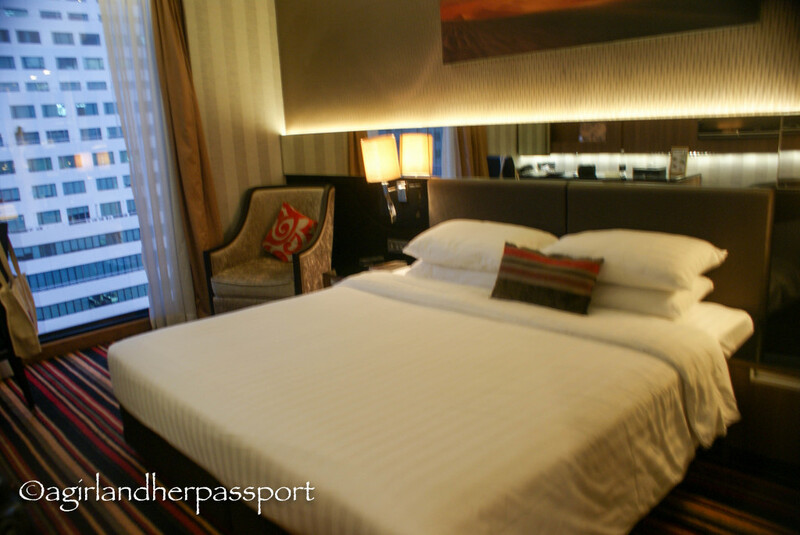 TBEX had provided us a long list of hotels in Bangkok and many of them had offered us discounted rates for the week of TBEX. Knowing that I needed to be at the conference center for several days, I began to look at what hotels were closest and then narrowed it down from there. After looking at prices and services offered, I decided on The Continent Hotel. I didn’t really look at hotels not on the list because there are so many hotels in Bangkok and I was already feeling overwhelmed. Booking the hotel and getting the confirmation was seamless and they gave me a 30% off coupon to use in one of their restaurants during my stay. Because I had heard traffic is terrible in Bangkok, I opted to take the train into the hotel. It meant changing trains, but it didn’t seem like it would be that hard looking at the map. The hotel looked close to the train stop as well. The one thing I hadn’t counted on was the humidity! By the time I arrived hauling my suitcase, I looked like a sweaty, frizzy-haired, exhausted person. Fortunately, the hotel was a half a block from the train station and I easily spotted it from the road. It was a bit pushed back from the road. They greeted me with a cold shot of juice, which was much appreciated. I mentioned that I was there for TBEX and much low talking ensued. They made a phone call and then they told me they were trying to get me upgraded to a higher floor. After a few minutes, they succeed. As you can see from the picture above, the view was good. I was not too high up to see what was happening on the street below either. While I was grateful that I had been given a higher floor, I think I paid the price as I was put next to the storage room for the housekeeping supplies. Every morning I could hear them getting stuff in and out and the door would slam. Fortunately, I was usually up early for breakfast. There were not many rooms on each floor and I could hear people talking in the halls. However, it never woke me up. I could hear my noisy neighbor one night through the wall, which isn’t too bad since I was there six nights. The room itself was nice decorated. It was modern and felt cozy. The room was not large, but I was not expecting it to be. The bed was comfortable and had plenty of pillows. There were plenty of power points around the room and a good sized desk. The closet was small and was hard to get to since it could only be accessed by closing the bathroom door. I like to unpack, so this was sometimes an issue. The bathroom was a good size and the shower was huge! There seems to be a trend lately of hotel rooms that have windows from the bathroom looking out into the room. 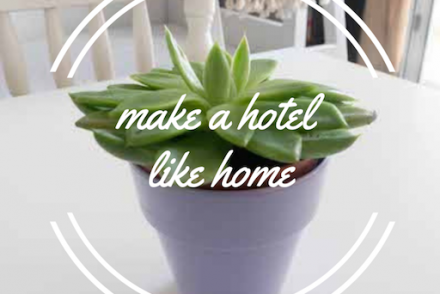 This is okay if you are staying by yourself, but can be awkward if staying with a friend. 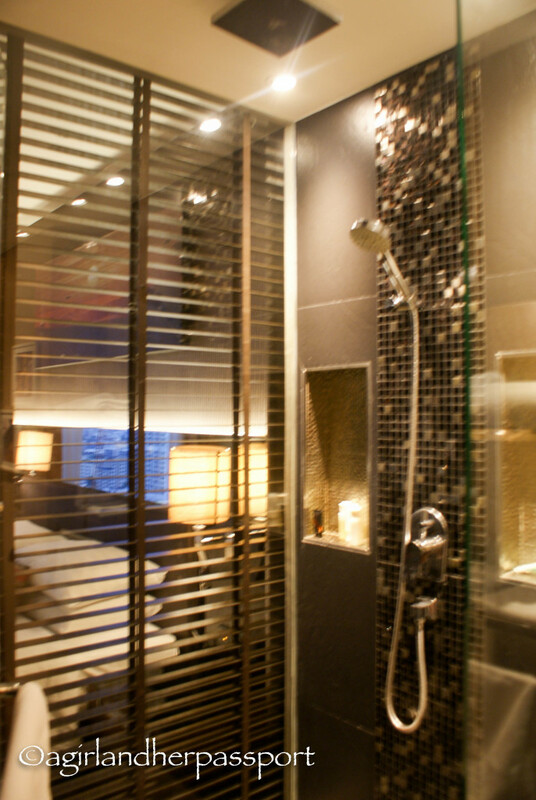 This bathroom had blinds, which helped. 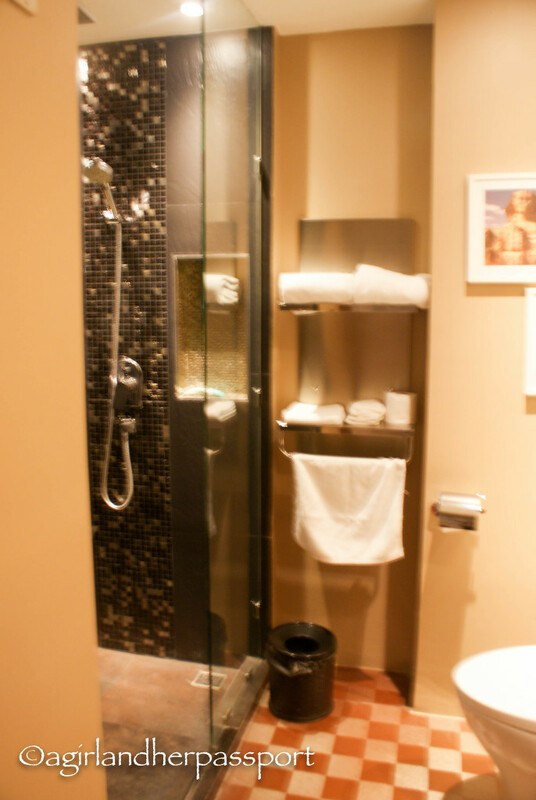 The best part of the bathroom was the rainfall shower head! That felt so good after a day of sightseeing. Just wish there had been a bathtub as well. 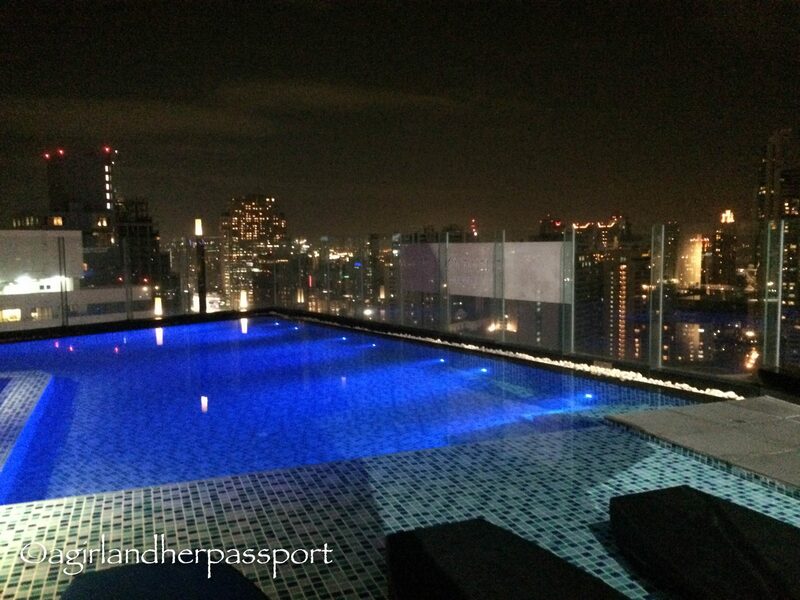 Staying at The Continent Hotel in Bangkok is a great place to get a great view of the city. Not only did my room have a great view, but so did the restaurants and the pool. The breakfast was served in their Italian restaurant that had floor to ceiling windows with amazing views of the city and the trains going by. The pool overlooks the city with a glass wall. I am only sad that I didn’t get to take a swim in it, but I didn’t have time. There is another restaurant up higher and I went there to eat one night but had to stay in the bar area because of a private party. I never did get to see the view from there. 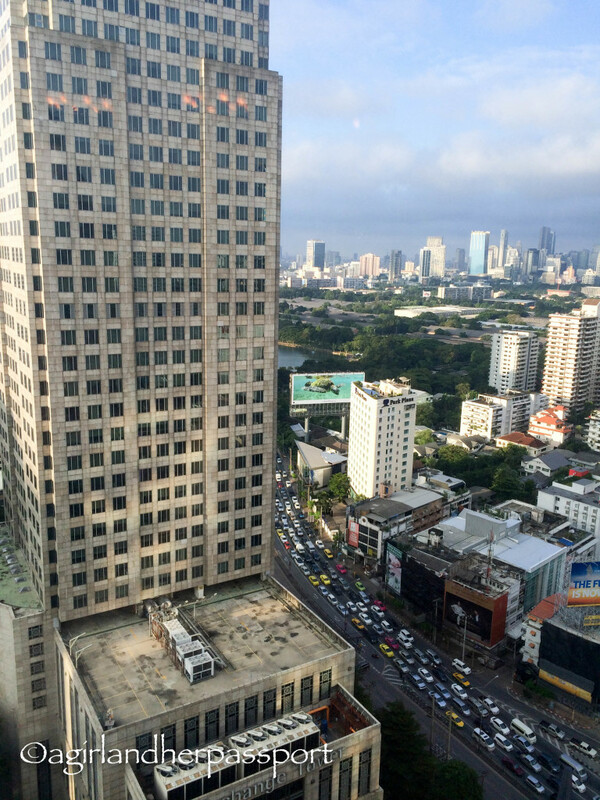 The best part of all these views was being able to see the balconies and gardens of the citizens of Bangkok. I felt like I was getting a glimpse into their world. Although, I never did see anyone on the balconies or in the gardens. It was clear that people spend time on them, but maybe it was still too hot. 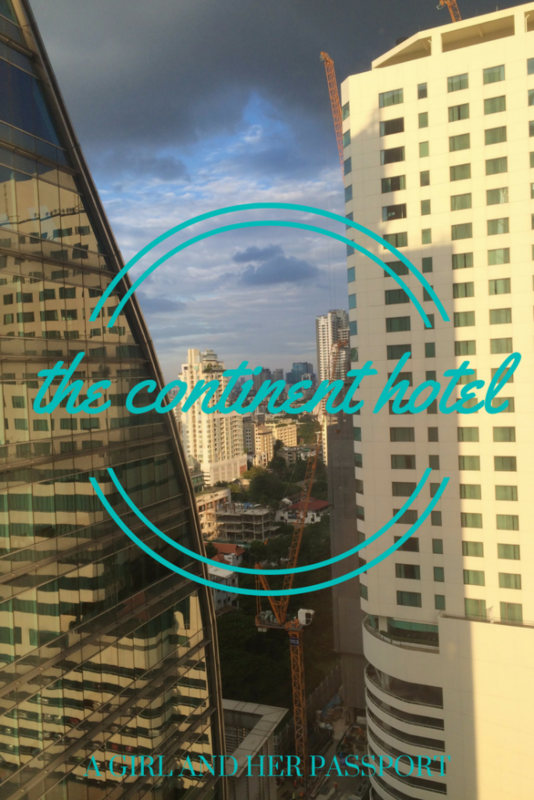 Overall, I would recommend The Continent Hotel in Bangkok. The room was comfortable, the location was perfect, the views stunning and the food was great. Just make sure you ask for a room away from the elevator and you should be fine. Also, see if you can score a higher room as the views are worth it. Check here for rates! 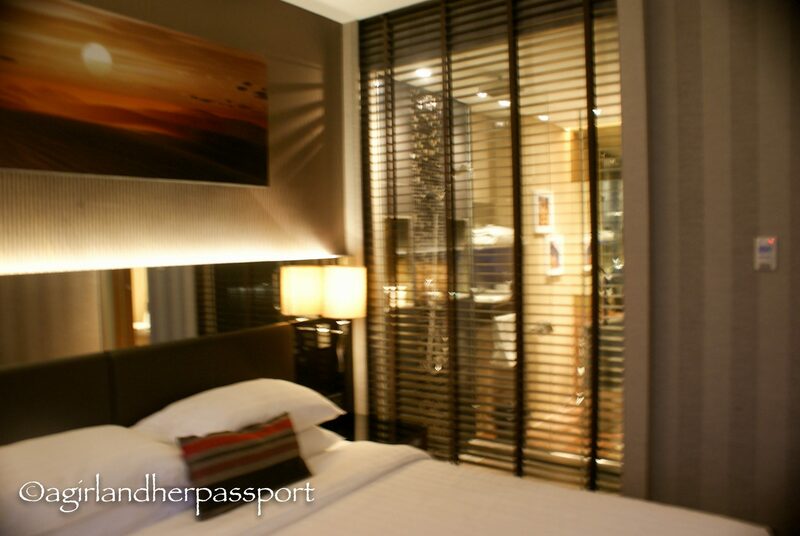 Getting there: From the airport take the Airport Rail Link train to the Makkasan station. Walk over the sky bridge to the MRT station, the Phetchaburi station. Take the train in the direction of the Hua Lamphong Station and get off at the next stop, which is the Sukhumvit Station. The hotel is about one block away. It is tucked away off the street so be sure to look for the sign that faces the street. Bangkok was amazing and I highly recommend it. Thanks so much!